Professor Garland obtained her Bachelor of Medicine at the University of Melbourne in 1971, and subsequently worked as a Research Fellow at Harvard University, Boston, USA. Suzanne commenced as Director of Clinical Microbiology at the Women’s in 1984. Professor Garland is a regular advisor to the World Health Organisation on sexual and reproductive health infections, cervical cancer and human papillomavirus (HPV). Her laboratory is a Western Pacific WHO reference laboratory for HPV for the HPV Labnet. Professor Garland has been a chief investigator for phase 3, clinical HPV vaccine trials for both the bivalent and quadrivalent vaccines and is currently measuring vaccine effectiveness post the vaccine rollout in Australia. Professor Garland was integral to the set up of the New Society Asia Oceania Research Organisation on Genital Infections and Neoplasia (AOGIN). She is the Inaugural and Past President of this Society and ongoing Board Advisor. 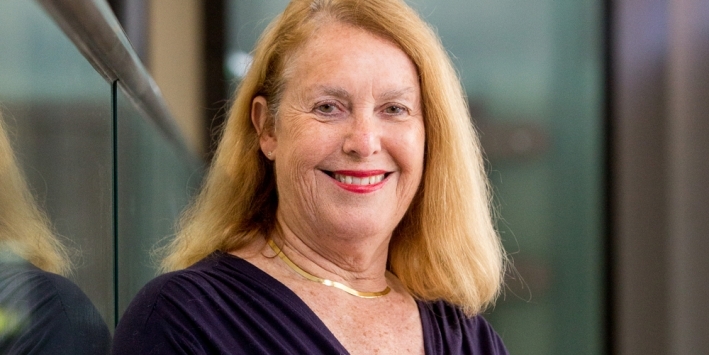 With a special interest in the management of herpes in pregnant women and neonates, Professor Garland Chairs the Obstetrics and Gynaecological working group of the Australian Herpes Management Forum of which she is a Board Member, GBS. She is currently the Clinical Director of Microbiology and Infectious Diseases at the Women’s, Director of Microbiology Research at the Women’s, and Senior Consultant in Microbiology at The Royal Children’s Hospital. Holding Honorary Research Fellow position at Murdoch Children’s Research Institute, and Professional chain through the Department of Obstetrics and Gynaecology at the University of Melbourne, Professor Garland is a Fellow at the Faculty of Science at the Royal College of Pathologists of Australasia (RCPA) and of Australian Society for Microbiology (FASM) plus RANZCOG Ad Eundem.